2017 Grady-White Freedom 307 Powered by Twin Yamaha F300XCA! Sand Gel Coat The 30-foot Freedom 307 is an evolutionary step up for dual console boats, creating a new category of big, saltwater tough coastal cruiser/family fishing boats. The 307 is a roomy, versatile, great performing inshore or offshore cruiser with amenities and comfort to spare. Seating is second to none in comfort. 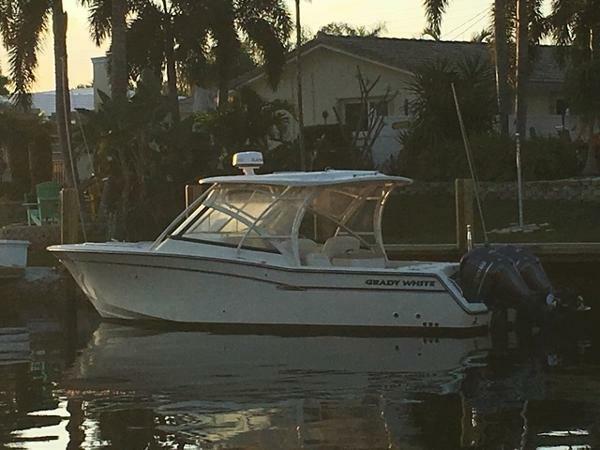 2016 Grady-White Freedom307 This boat is like brand new, less then 50 hrs. Always kept on lift bought in aug 2016. Decided to sell boat and house and get bigger boat to travel on. 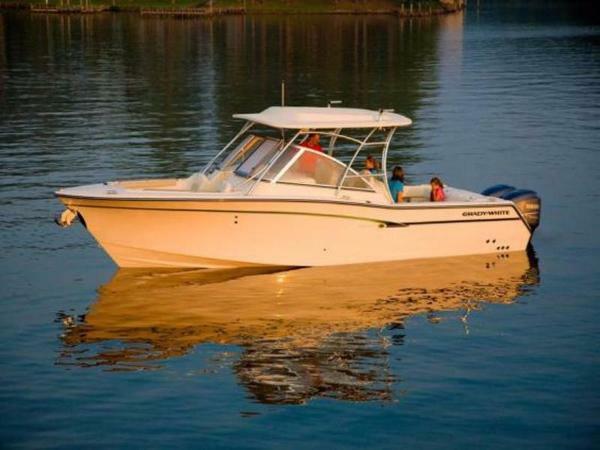 2011 Grady - White Freedom 307 2011 Grady - White Freedom 307 powered by twin Yamaha 300 hp with only 190 hours. Excellant condition with new batteries and audio system. It has just been serviced and is ready for use. The 30-foot Freedom 307 is an evolutionary step up for dual console boats, creating a new category of big, saltwater tough coastal cruiser/family fishing boats. The 307 is a roomy, versatile, great performing inshore or offshore cruiser with amenities and comfort to spare. Seating is second to none incomfort. $162700. 2013 Grady-White Freedom 307 Standard items your family will appreciate include the spacious head, extendable sleeper seat, loads of drink holders, deep forward-seating area, foldaway aft bench seat, stereo, tons of storage, freshwater shower and integral swim ladder, and a sun-platform insert for the bow seating area, and they may never want to go ashore again. She has a 5-foot-long berth to make kiddies' naps cool and comfortable.Find rod holders and rod racks throughout the 307, including in special racks under the forward seats. 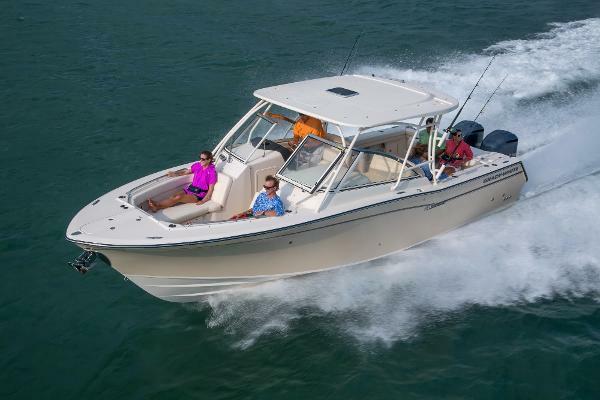 The Tournament 307 also boasts a very ample 62-gallon insulated fish box aft and an additional 38-gallon fish or storage box under the bow seating on the starboard side. And you can't help but find the 80-square-foot cockpit plenty roomy enough to handle multiple anglers. This particular 307 is loaded with options. Electronics include Furuno Navnet 3D Chart Plotter/Radar, i Com IC-M504 VHF radio w/dcs and hailer, Kenwood stereo with remotes, and bow thruster. She is powered by a pair of 350 hp Yamaha 4 stroke engines with 400 hours! 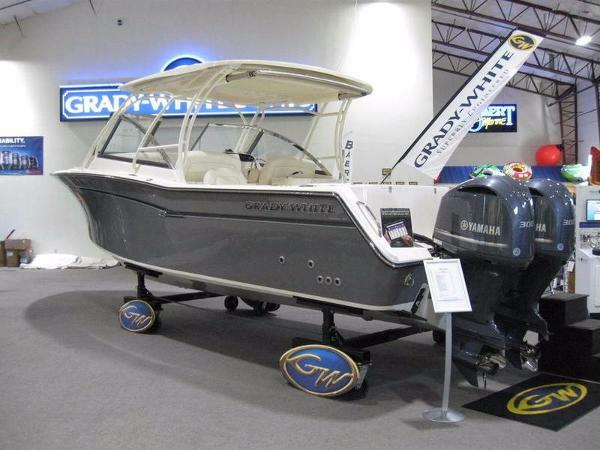 2017 Grady-White Freedom 307 The 30-foot Freedom 307 is an evolutionary step up for dual console boats, creating a new category of big, saltwater tough coastal cruiser/family fishing boats. The 307 is a roomy, versatile, great performing inshore or offshore cruiser with amenities and comfort to spare. Seating is second to none in comfort. 2015 Grady-White Freedom 307 Featuring twin Yamaha 300 4-strokes with only 111 hours, bow thruster, full head and much more. Well cared for and in excellent condition! Currently awaiting her next owner! Call for your appointment today. 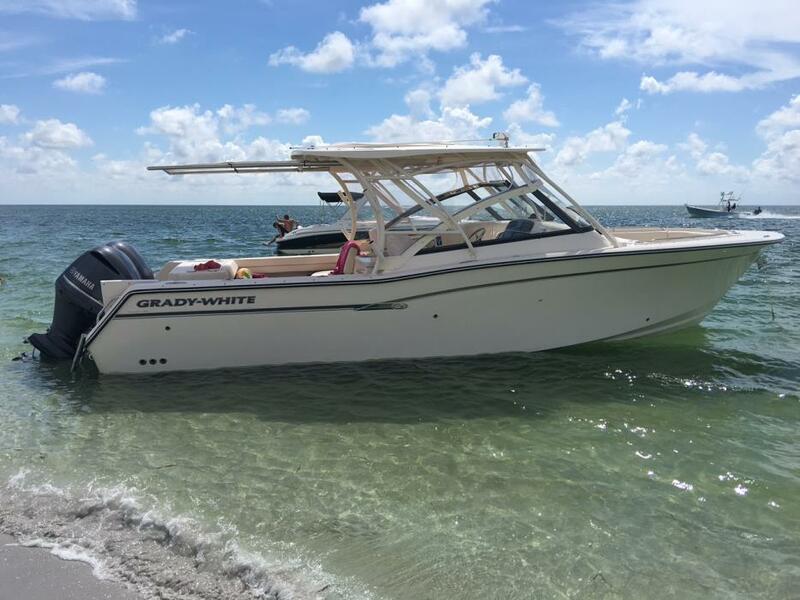 2017 Grady White FREEDOM 307 2017 Grady White Freedom 307 2017 Grady White 307 Freedom. Great family boat! Plenty of seating and built in grill. 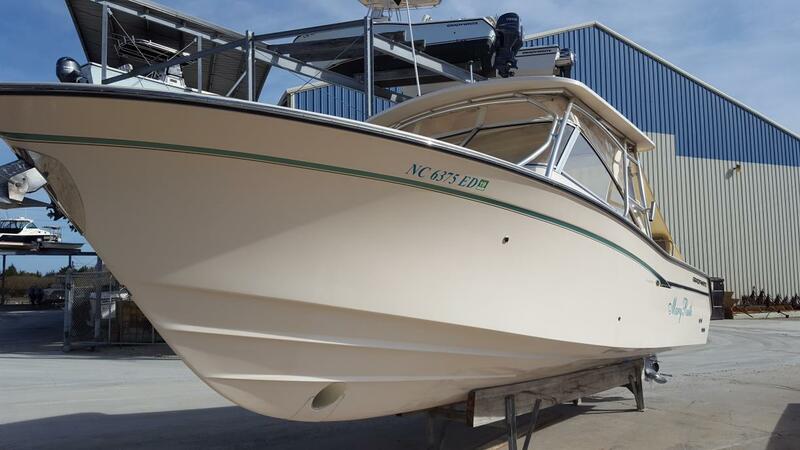 The classic Grady-White hull with a great dual console layout for either a fun day on the water with friends, or heading out in comfort to fish. 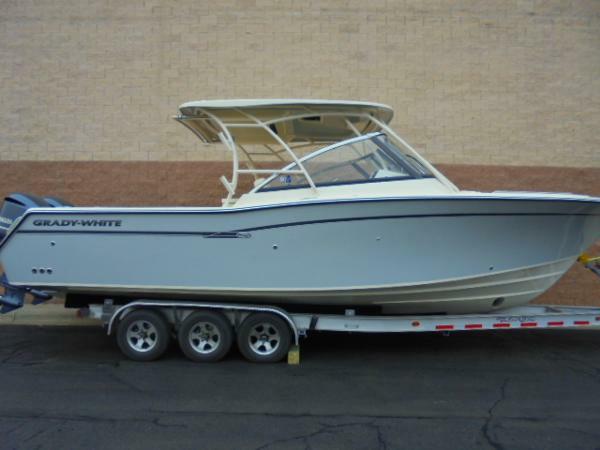 Factory hardtop with enclosure, enclosed head, grill, wet bar, refrigerator, windlass, bow thruster and much more.... 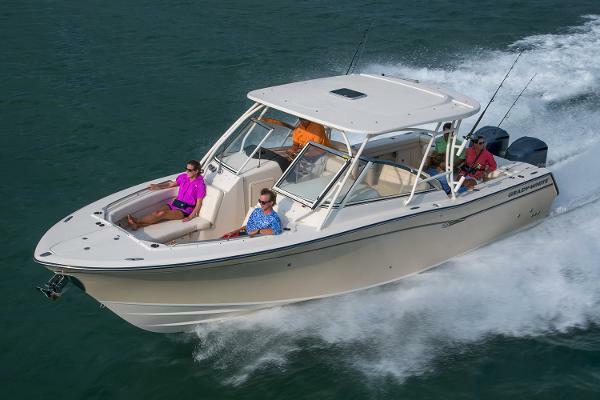 The 30-foot Freedom 307 is an evolutionary step up for dual console boats, creating a new category of big, saltwater tough coastal cruiser/family fishing boats. The 307 is a roomy, versatile, great performing inshore or offshore cruiser with amenities and comfort to spare. Seating is second to none in comfort. 2016 Grady-White Freedom 307 2016 Grady-White 307 Freedom powered twin Yamaha 300 hp outboard motors. The 30-foot Freedom 307 is an “evolutionary step up” for dual console boats, creating a new category of big, saltwater tough coastal cruiser/family fishing boats. The 307 is a roomy, versatile, great performing inshore or offshore cruiser with amenities and comfort to spare. Seating is second to none in comfort. 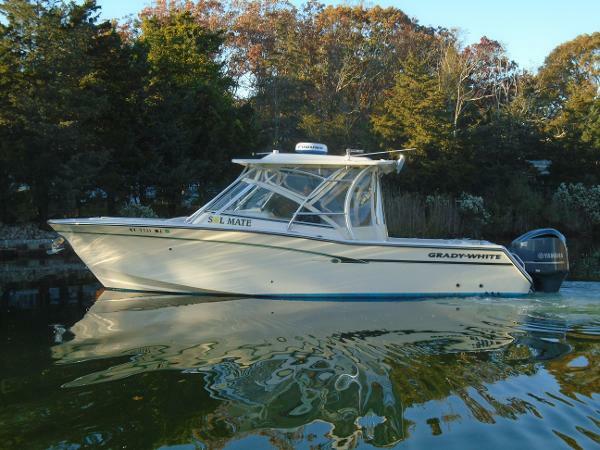 The options on this boat include bow thruster, shore power and charger, refrigerator, grill, stainless steal header windshield, hard top with painted frame, and hard top front and side curtains. Stop by the marina today or give us a call for more details. 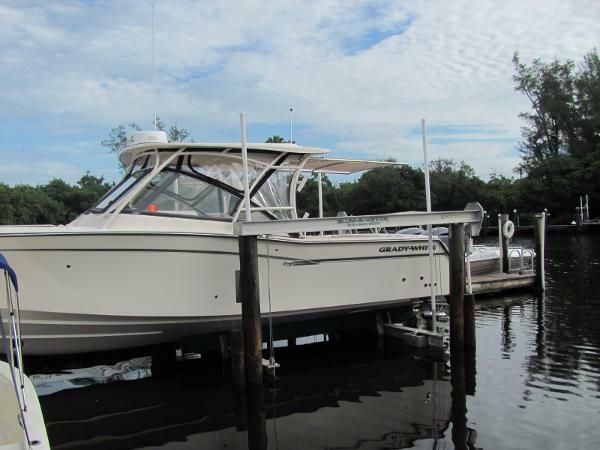 2015 Grady-White Freedom 307 New Listing 2015 Grady White 307 Freedom save thousands over new. 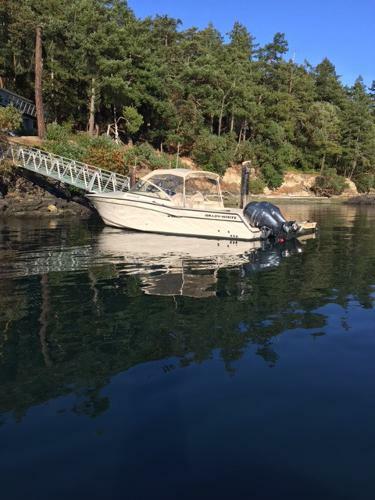 We have just listed this 307 Freedom powered by Twin Yamaha 300's with under 40 hours on them and warranty until 11/03/2021. 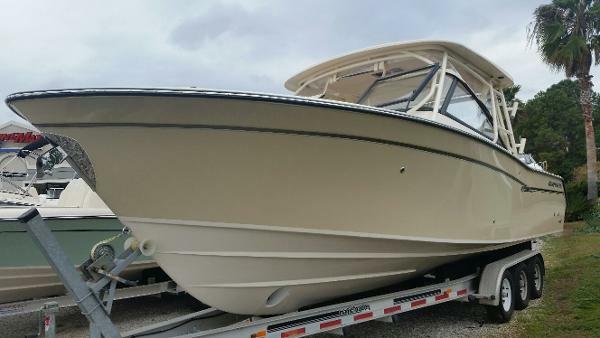 This boat has lots of options Painted Hardtop leg mounted rod holders with black factory canvas, Bow Thruster, Dockside Power, Marine Head with electric flush, Raw Water Livewell, Refrigerator in Bar, Sure Shade. 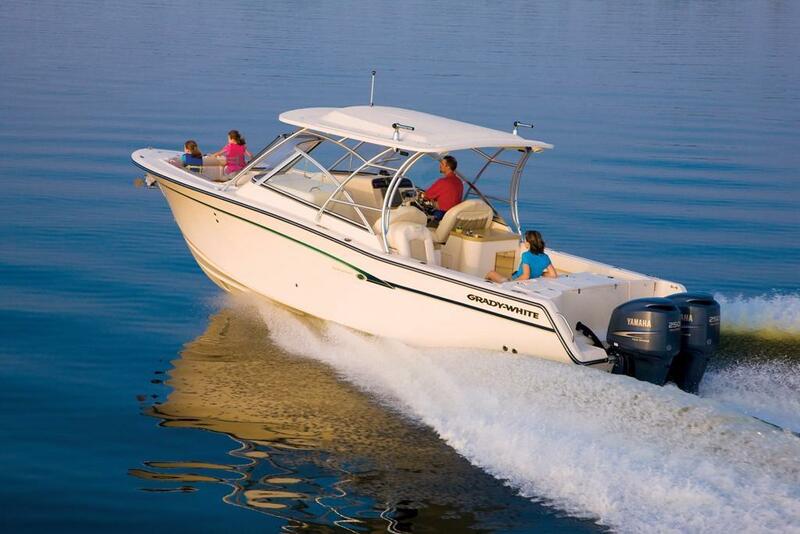 It also has Garmin Electronics, Dual 7612 Screen, 24 XHD Radar and VHF 200 radio. 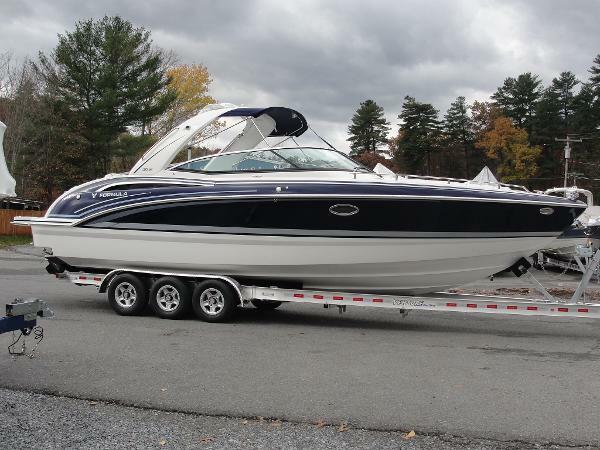 Give me a call today to setup a showing of this like new vessel.